Winter Farm Fun Day 2 | NJNA is Blogging! I know it’s taken a few days to post about the second day of The Enriched Stitch retreat. Unfortunately, work got in the way! We spent Day 2 on some of the other buildings in the piece. You’ll notice that these buildings are covered more fully since they are in the foreground. 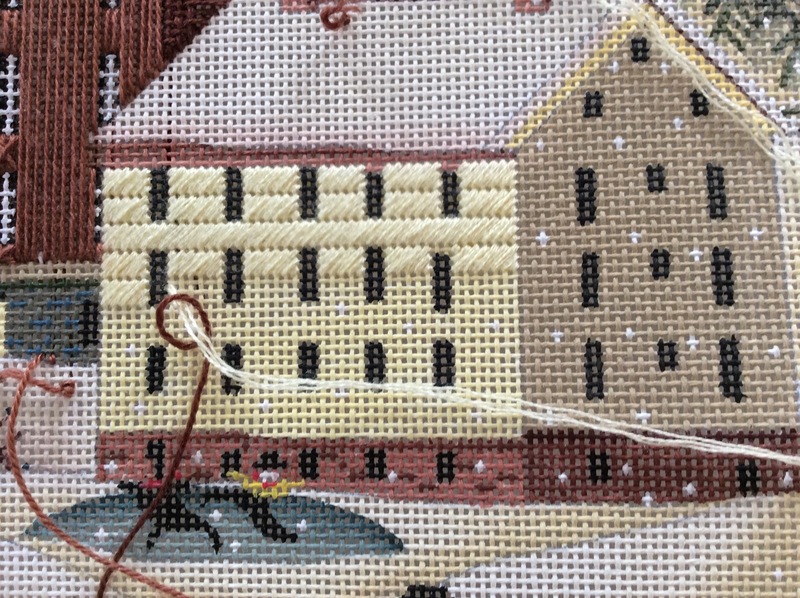 I love the tied stitch on the large red building. 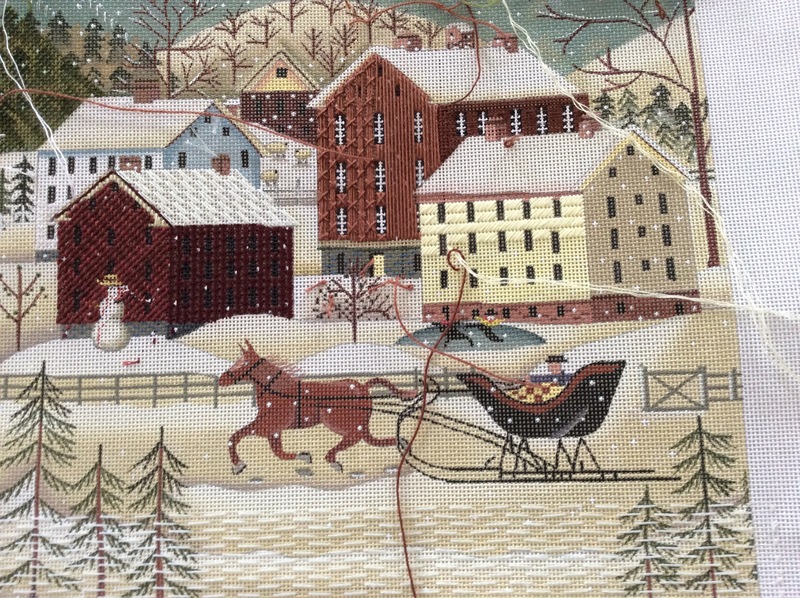 I had a wonderful time stitching Winter Farm Fun. The class was very enjoyable and the venue couldn’t have been nicer. And the weather was just glorious! I am looking forward to finishing this piece. I hope that my schedule allows me to attend next year’s retreat. Rosie and I are enjoying your post while sitting in the airport. Makes me want to break out my stitching. Linda, your piece is beautiful and your pictures really allow us to see the various buildings. 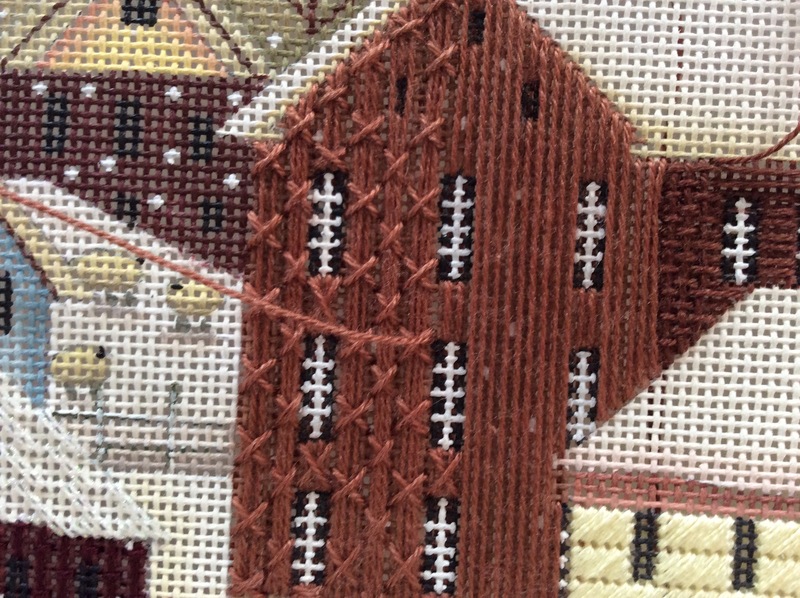 I particularly like the cross stitches tying down the layed threads. 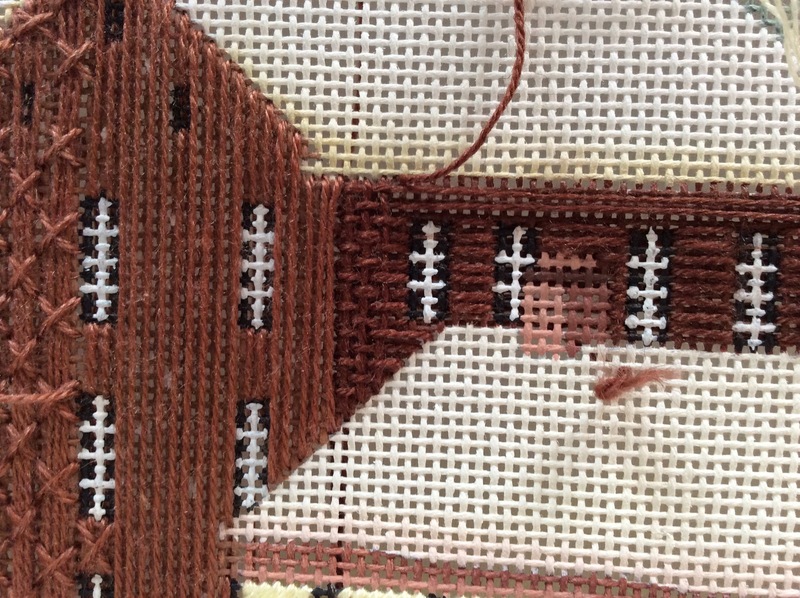 I love the close-ups of the stitches and then the full picture to put it in perspective.